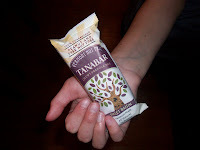 Recently I was contacted by Vermont Nut-Free Chocolate, one of my all-time favorite nut allergy-friendly companies, about their new granola snack--the Tanabar! This delicious granola bar is 100% peanut- and tree nut-free and when it comes to a granola snack, nut-free is hard to find. I received samples of all three flavors and my kids devoured them! In fact, I had to hide the bar you see in the photo above so that I would have time to get a picture of it for my blog--believe me, it would have been eaten. The Tanabar comes in three flavors: Wild Berry, Sweet Raisin and Chocolate Chip. The Wild Berry and Sweet Raisin flavors won't melt in the heat so you don't have to order a cold pack to keep them fresh. My kids really loved all three flavors with my oldest leaning towards the chocolate chip (she's a chocoholic). For those of us dealing with allergies besides nuts, please be aware that the Tanabar may contain wheat and soy. As a parent dealing with nut allergies, it's hard to find snack bars that are safe to send to school for a healthy snack, as a great take-along snack to activities or an after school snack. The Tanabar is the perfect treat for all of these situations. 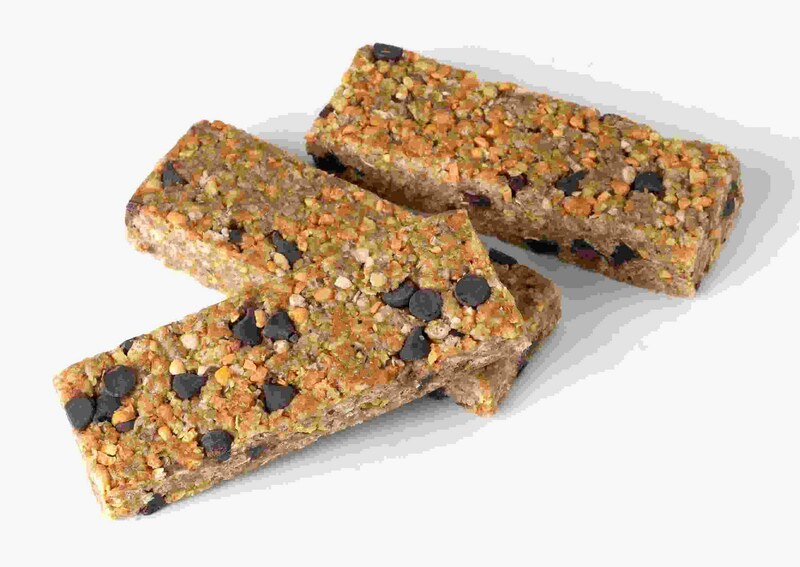 I used to enjoy regular granola bars but haven't bought them for years because of the presence of nuts and peanut flour. I am thrilled to find a snack that is safe for my allergic daughter but that I will also enjoy. I love Vermont Nut-Free--in fact, my kids are already placing their Halloween orders from VNF! In the meantime, I'm very happy to discover this delicious treat. To help counter the cost, if you "like" the Vermont Nut-Free Chocolate Facebook fan page you can get special discounts. Also, signing up for their e-mail alerts will provide you with consistent discount offers as well. When you place your orders with VNF, be sure to sign up for these alerts. You can get great savings! Let me know how you enjoy the Tanabar--I wish my samples weren't gone. I could use one right about now! FTC Note: I was provided with food samples but received no other compensation for this review. Oddly enough I ordered the assorted box last week! I only tried the mixed berry one so far, but loved it!